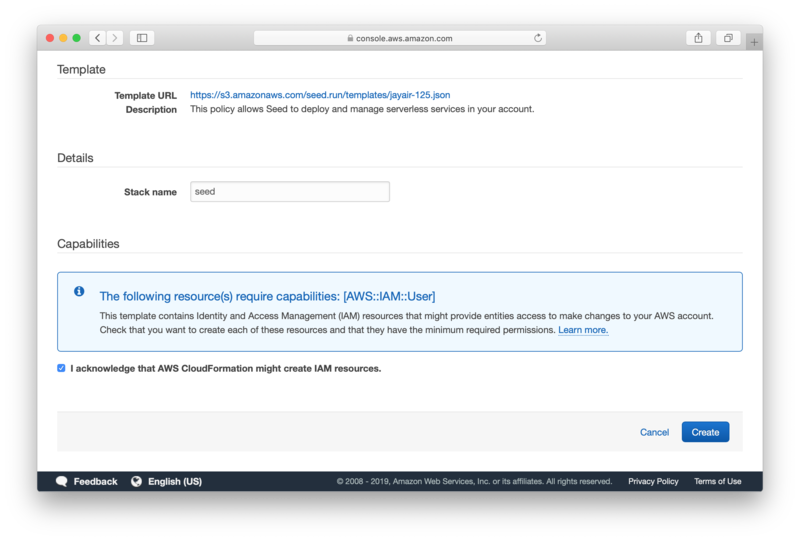 Seed needs your AWS IAM credentials to deploy your project on your behalf to your AWS account. Start by reviewing the permissions that Seed needs. Next, customize the permissions that Serverless Framework needs to deploy your app. By default these permissions are very broad since this depends specifically on your app. 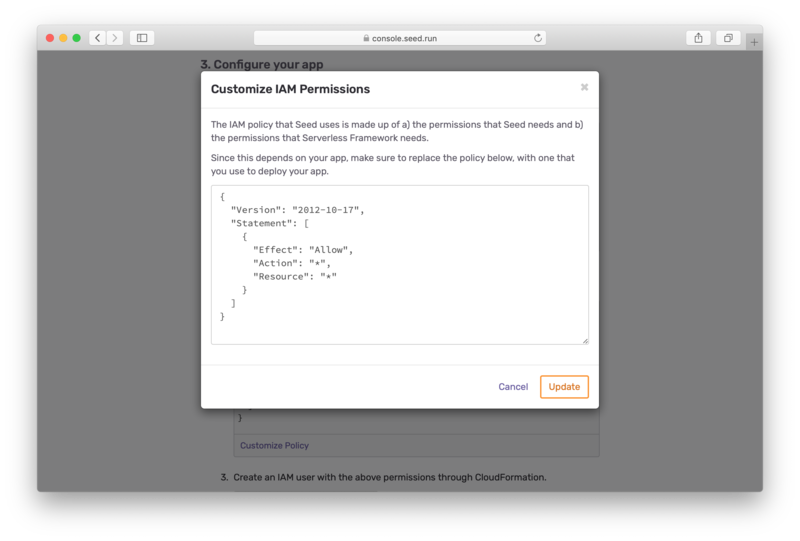 If you are already using a set of IAM permissions to deploy, you can paste them here. Alternatively, you can read the Customizing your IAM Policy chapter; to get a better idea on how to craft an airtight policy. Once you are done customizing the permissions, Seed will put the two above sets of permissions together. 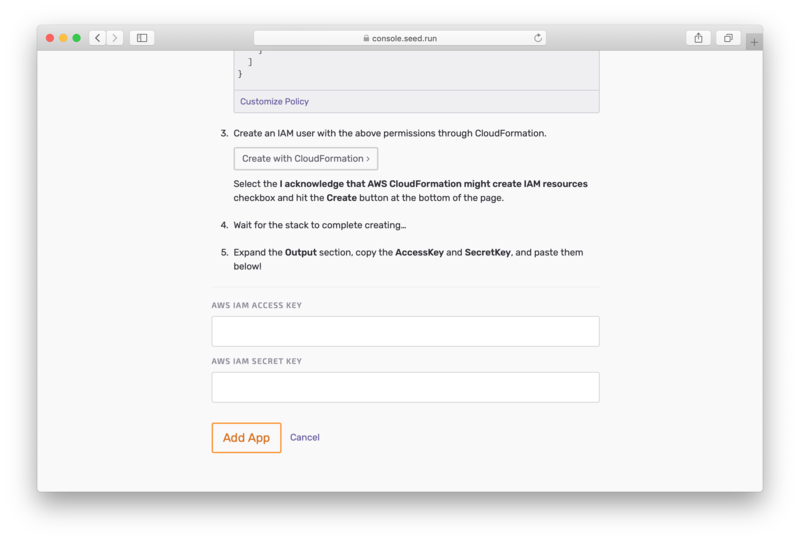 And will help you create an IAM user using CloudFormation. Hit the Create with CloudFormation button. 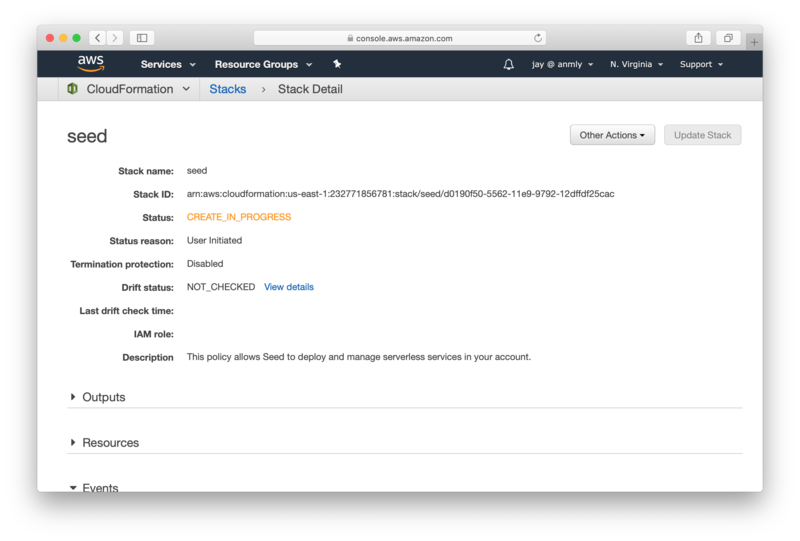 This will redirect you to CloudFormation on your AWS Console. Scroll down to the bottom of the page, hit the I acknowledge that AWS CloudFormation might create IAM resources. and click Create. 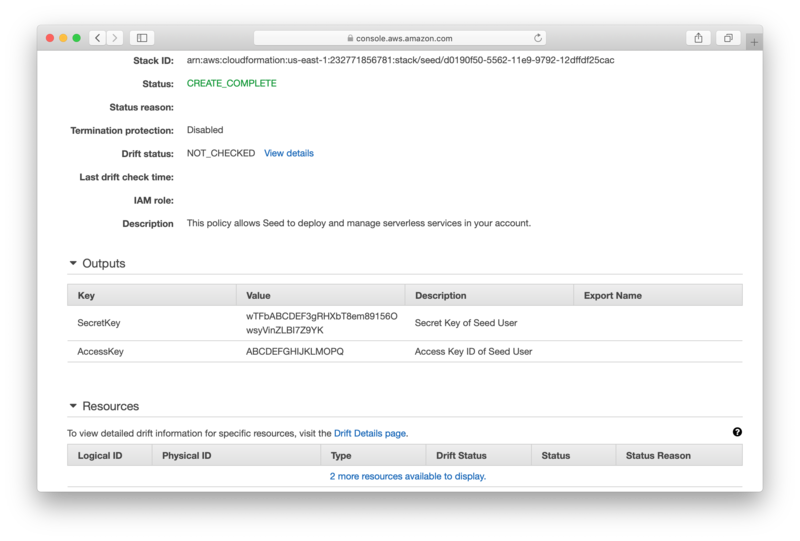 CloudFormation will now create a Seed IAM user. This will take a minute or two. Once complete, expand the Outputs section. And copy the AccessKey and SecretKey. Paste it back over on Seed. Hit Add App to complete creating your app!